Mr. Ennis E. Diggs Jr., age 74 of Jacksonville, passed away Sunday, February 3, 2019. A native of Texas, Mr. Diggs spent forty years in Minneapolis, MN before moving to Jacksonville approximately one and a half years ago. He was a United States Army veteran and had been a District Parts Manager at American Honda in Minneapolis for twenty years at the time of his retirement. 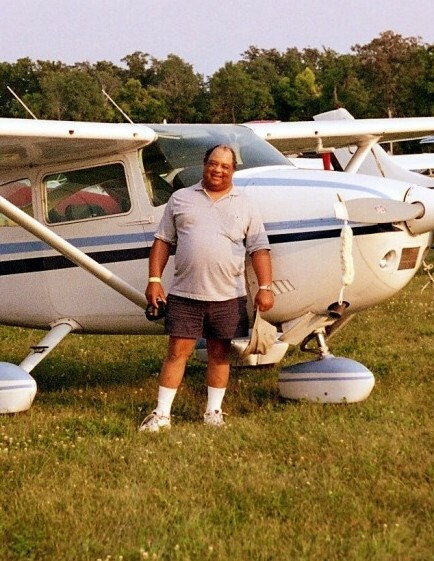 His passion was flying and he was a private pilot for many years. Mr. Diggs was an avid Dallas Cowboys football fan and also enjoyed watching NBA basketball. He enjoyed traveling and eating a good seafood dinner; fried oysters being his favorite. He had an enthusiastic laugh and a big, teddy bear demeanor that endeared him to most everyone that knew him, especially his neighborhood children. He is survived by his wife of thirty nine years: Sue Diggs; twin brother: Dennis (Mary) Diggs of Wallis, TX; twin sisters: Gwendolyn Diggs of Fort Worth, TX and Dr. Jacqulyn Diggs of Chattanooga, TN; nephews: Dennis A. Diggs and Anthony Diggs; niece: Jessie Diggs; and great niece and nephew: Jazlyn Diggs and Joshua Diggs. He was preceded in death by his parents: Ennis E. and Jessie R. Diggs Sr. A celebration of his life will be held 11:00am, Saturday, February 9, 2019 at Whitehouse Baptist Church, Jacksonville, Florida with Pastor Bronson Clemens officiating. Arrangements are entrusted to Prestwood Funeral Home, Baldwin, Florida.